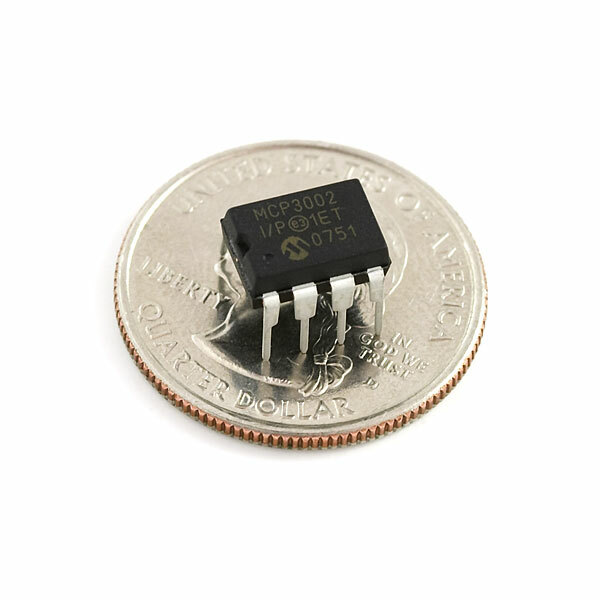 I want to use this chip with the ESP 8266 Dev Board which lacks a sufficient 0-5v ADC. Is there a library for use with this chip? I have never used an SPI device without a library...How does one go about doing this? You should stock a more precise version, 16 bit or something, and with an external Reference. Seconded, a 16-bit would be perfect for my current project. Thirded. Something like the Analog Devices AD7788 16-bit Sigma Delta. Fifthed. A 16-bit ADC would be a nice addition to Sparkfun's catalog. Eighthed. Also need a 16-bit ADC. Ninethed. 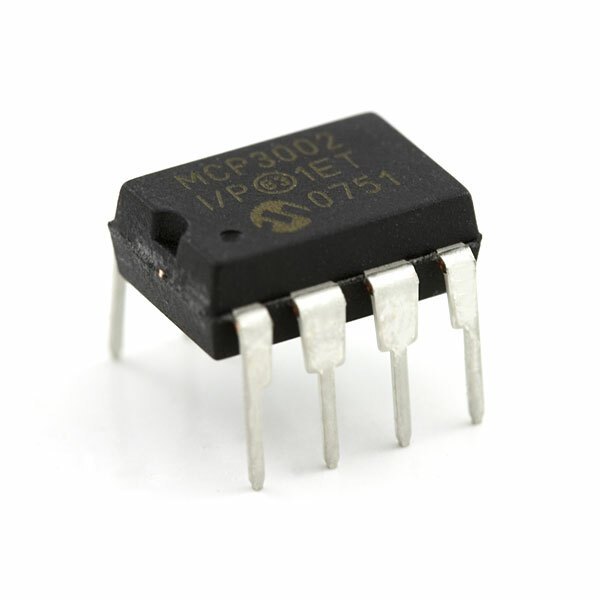 Also need a 16-bit ADC for use with a XCORE processor. Are there any tutorials or examples of this in use? Specifically, I would like to achieve the maximum sampling rate on both inputs when used with an arduino. I've got a lot of samples to take, then compress, then send over a bluetooth connection. Think HUGE multi-touch mousepad! I'd love to see this in the SparkFun Eagle library. will there be a BOB for this? I would enjoy a breakout board for interfacing with jumper cables. A standardized 8 pin breakout board is what we are looking for. Could i use to say, convert the analog uadio input from an headphone socket to something usable by the arduino? Seconded. That's exactly what I'm trying to do. Have you succeeded? 75 000 samples per second @ 2.7V, 200 000 @ 5V. 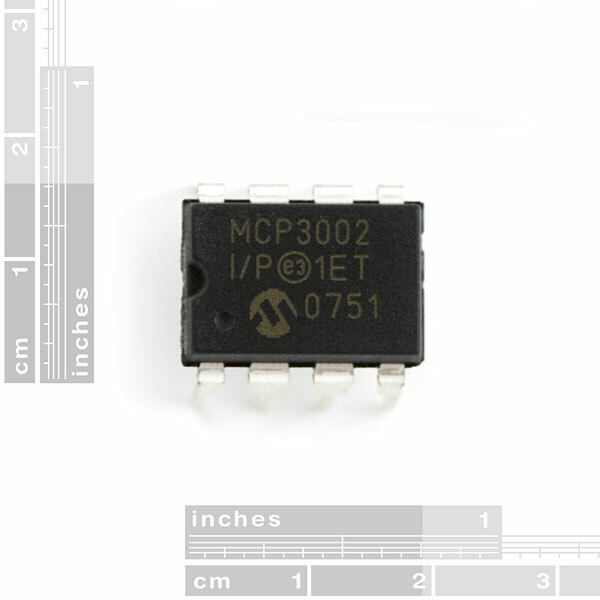 Is it possible to daisy chain multiple MCP3002 chips together? Datasheet PDF wont load or download. Broken ? Help Please. I have tried bit-banging and the SPI lib. I've found some code for the 3008 and tried to modify that. I've tried it with all diff wiring configs. Used 2 Uno's and a Uno32 with 3 diff 3002's. Can you post any code? I'll even take .NET written for an ARM with good documentation. Could you use this to transmit a raw analog feed (like video, audio, resistor values) over a serial modem and (not using this one of course) have them converted back to analog. You'd need a microcontroller to interface with the ADC and spit out "normal" serial data, but yeah that should work. It won't have a high enough sampling rate to decode video, however. At least not standard composite video. 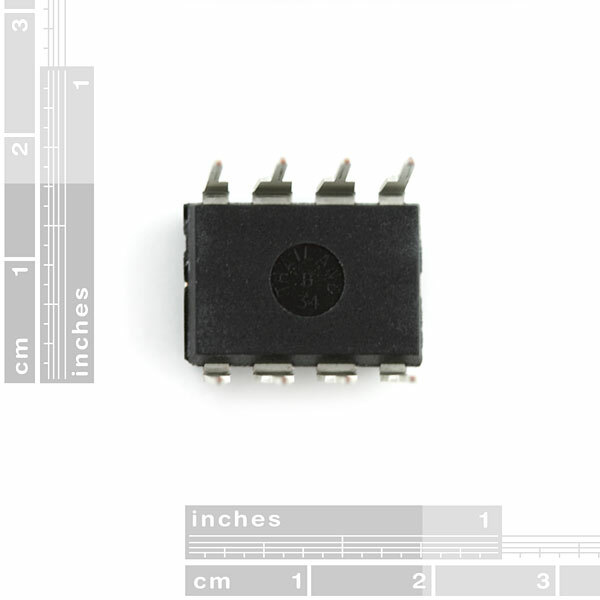 It's easy to use, the datasheet is excellent, and it is much faster that the built-in ADC on the Arduino. Just note that that it needs a low resistance source (see pages 11-12 of the datasheet for details), so use an op-amp if your source has high resistance, especially if you're sampling very quickly.